(11:53 a.m. BST) -- Two British female holidaymakers who were travelling on Fred. Olsen Cruise Lines' Boudicca have been killed while on a shore excursion in Oman. The cruise passengers died on Thursday, September 28, when they were hit by an unlicensed vehicle as they stepped off a coach. A male cruise ship passenger was also seriously injured in the incident and is now in a stable condition in a local hospital. It is unclear whether the shore excursion that the passengers were on was cruise-ship sponsored or an independent excursion. Fred. Olsen Cruise Lines has confirmed the incident in a statement. "Fred. Olsen Cruise Lines can confirm that two female guests from its cruise ship Boudicca were fatally injured in a collision with a car at 11.00 hours on Thursday 27th September 2018 in Salalah, Oman. One further male guest was seriously injured and taken to a local hospital, where he is now in a stable condition. All three guests are of British nationality. 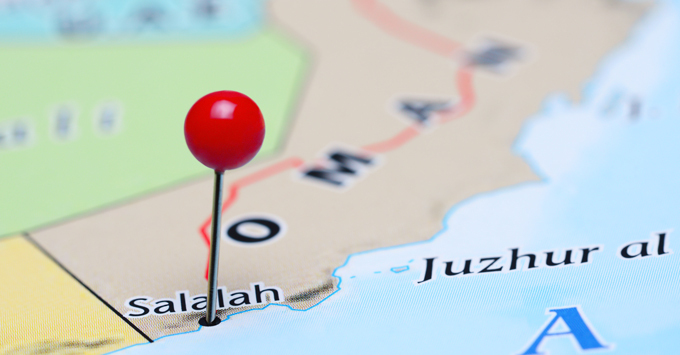 "The guests were on an excursion to Souq Al Haffa in Salalah when they were struck by a car, having alighted from their tour bus. According to Royal Oman Police, preliminary reports indicate that the cause of the accident was the driver's deviation from his lane. The driver also did not hold a driving licence. Further investigations into the accident are ongoing." The cruise line has confirmed that the families of those involved have been informed. Boudicca is currently sailing a 14-night 'Authentic Arabia' fly-cruise, which departed from Aqaba, Jordan on September 20, 2018. Shore excursion-related deaths are rare, but minor and major accidents do occur. Here are nine tips for staying safe on a shore tour.